Concentrated with natural active ingredients and treatments, it cleanses, strengthens and protects all types of hair, even color-treated. 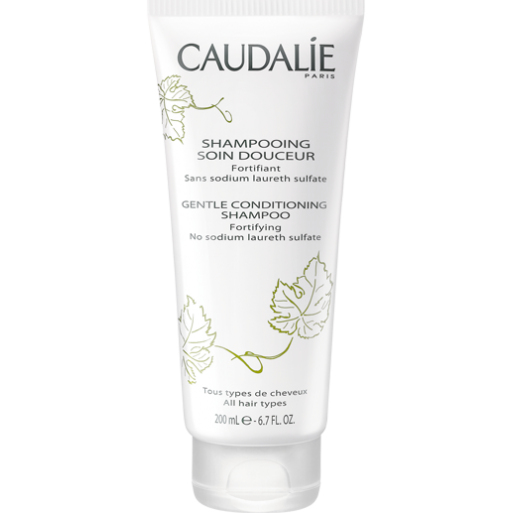 Its extremely gentle plant-based formula respects the most sensitive hair and is suitable for frequent use. 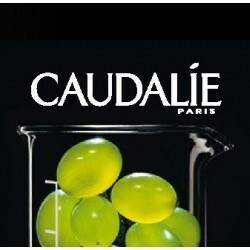 Grape vinegar and grape-seed extract give your hair unbeatable lightness and shine. Ideal after professional straightening. For anyone looking for ultra-shiny and very soft hair with a delicate Fleur de Vigne® fragrance. For everyday use. Lather up on the scalp then rinse thoroughly. Detangles. Grape and jojoba oils, Wheat peptides, Grape vinegar. AQUA (WATER), AMMONIUM LAURYL SULFATE*, SODIUM LAUROYL SARCOSINATE*, GLYCERIN *, COCAMIDOPROPYL BETAINE*, CETEARYL ALCOHOL*, HYDROXYPROPYLTRIMONIUM HONEY, HYDROXYPROPYL STARCH PHOSPHATE*, DISODIUM LAURYL SULFOSUCCINATE*, PARFUM (FRAGRANCE), DIMETHICONE, SODIUM COCOYL ISETHIONATE*, ZEA MAYS (CORN) STARCH*, PHOSPHOLIPIDS*, GUAR HYDROXYPROPYLTRIMONIUM CHLORIDE*, COCO-GLUCOSIDE*, GLYCERYL OLEATE*, SODIUM CHLORIDE, DICAPRYLYL ETHER*, HYDROGENATED CASTOR OIL*, HELIANTHUS ANNUUS (SUNFLOWER) SEED OIL*, CITRIC ACID*, LAURYL ALCOHOL*, CAPRYLYL GLYCOL, POTASSIUM SORBATE, VITIS VINIFERA (GRAPE) SEED OIL*, SIMMONDSIA CHINENSIS (JOJOBA) SEED OIL*, CETRIMONIUM CHLORIDE*, TOCOPHEROL*, HYDROLYZED WHEAT PROTEIN*, BENZOIC ACID, ACETUM (VINEGAR)*, CI 77891 (TITANIUM DIOXIDE), ASCORBIC ACID, SODIUM BENZOATE, BUTYLPHENYL METHYLPROPIONAL, LINALOOL, CITRONELLOL. * Plant origin. Gorgeous herby scent. Conditions and shampoos all in one. Hair left soft. Expensive. Conditions at the expense of a thorough clean. I really like that this brand doesn't use parabens and other nasties. I also like it's signature scent and results. This shampoo feels like a co-wash would. It is almost a conditioner that cleans. It has a thick, creamy, conditioner-like consistency and I did use my Denman shampoo brush to get it through my hair and to the ends. 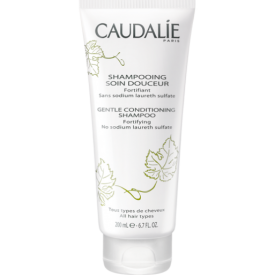 It leaves hair feeling conditioned and soft, although I wouldn't use it everyday as I expect you would get a lot of build-up. I did feel that I went through the tube very quickly - it does only have 200ml in it, which makes it an expensive purchase.